Last edited by JazonXD; 12-08-2015 at 03:47 AM. They are busy with their first aircraft right now. Don't ask me why these dev's seem to think they need to announce a handful of projects so far in advance, but there you go. Doesn't mean, though, that this F-15E project will never happen. You just cannot do them all in parallel and they take time, sometimes longer than expected. Remember NTTR was at one point going to be part of the A10C project -- now 4-5 years later we are just starting to enjoy it. As Wags says, everything is subject to change. Took way longer than originally thought, but it still got released. Actually compared to some of the other projects we've seen, 2 years really isn't all that long. Might be flying your Strike Eagle in another 2 years. Who can say? That panel is missing the nuke consent switch. Same here... bring on low-level interdiction missions! 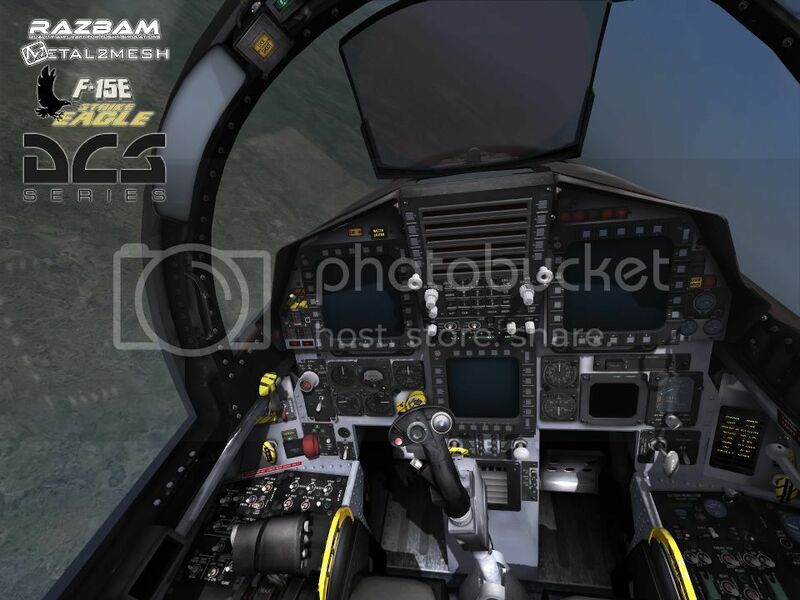 RAZBAM F-15E is a must! Would love to have a properly working Mudhen. My only fear would be that for a proper F-15E you would need either an AI pilot or an AI WSO that is pretty great in order to have fun playing it alone. Otherwise it is MP only. And you have to find a pilot/WSO that fits your style of play. Or if it is too easy to effectively fly and fight in it alone you won't find anyone at all. We know Leatherneck are trying to do that for for the F-14 and we don't know whether it will work well (yet). So that is a risk for development of course. I hope RAZBAM decides to try and pull it off. But to be honest: I'd be almost equally happy with a single seat multi-role jet that fills roughly the same role. EDIT: The whole thing is the same for an A-6 btw. Can I ask what happened to IRIS F-15E? they have even pulled out the FSX version! Mig-21 vs F-5 (Planned), Polyshop team choppers (planned) vs Ka-50. -- English (US) -- Russian (RU) All times are GMT. The time now is 08:01 PM. vBulletin Skin by ForumMonkeys. Powered by vBulletin®.